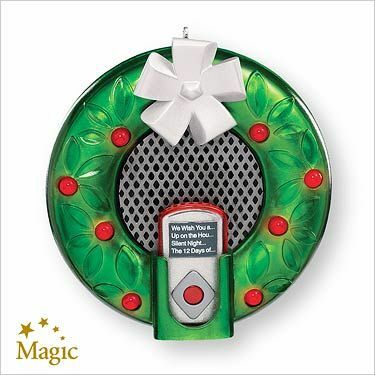 MP3 Player and Docking Station ornament. Press a button to play highlights of four Christmas songs from pop, rock, country and rap genres. Lights up in synchronized display. Battery operated. By Terri Steiger. 3 1/2 inches tall.